The Mongolians love their horses. 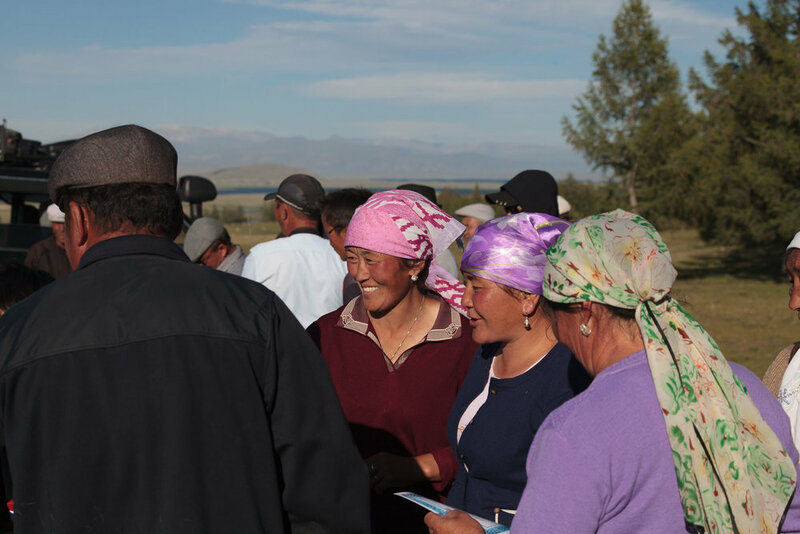 Horse racing is very popular and part of every Naadam (fair) and wedding. They have a reputation for being the best horseman in the world. The competitive spirit is fierce, the stakes potentially high. 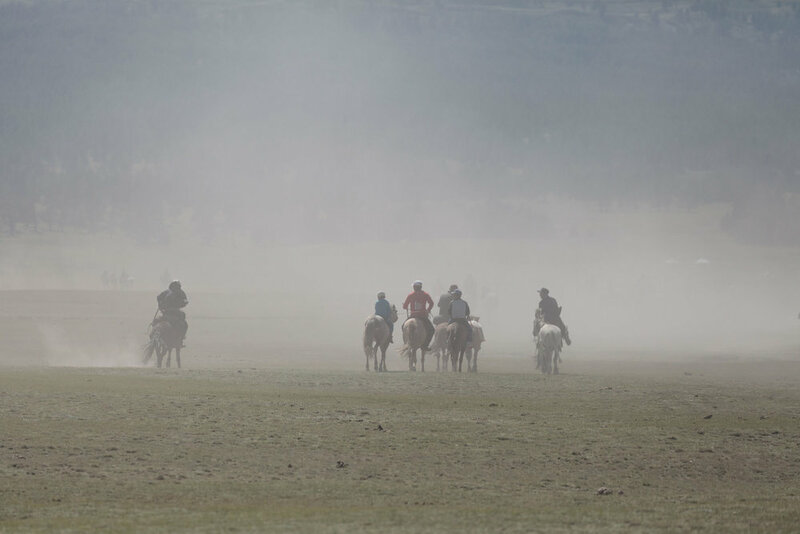 At times, they will ride their horses for days to reach the location of the races. They don't use a saddle and the riders are children between 8 and 16 year old. The reason they don't use a saddle is because they feel it is safer this way for the young children. This way, if they fall off the horse the risk of a foot stuck in the stirrup is eliminated. The children learn how to ride around 3 years of age. Winning a race brings much honor to the family and depending on the size of the race also significant financial rewards. At the finish line the family awaits, the tension is high. If there is a disagreement on who the winner is a ferocious fist fight may ensue. The sound advice to those photographing at the finish line was to avoid at all cost being asked to use our photos as proof as to who has won. Can get tricky. The women wait at the sidelines and throw candy at their rider and eating a candy thrown at such an occasion is important, as it means you partake in the celebrations. Watching and photographing the races was an elating experience. 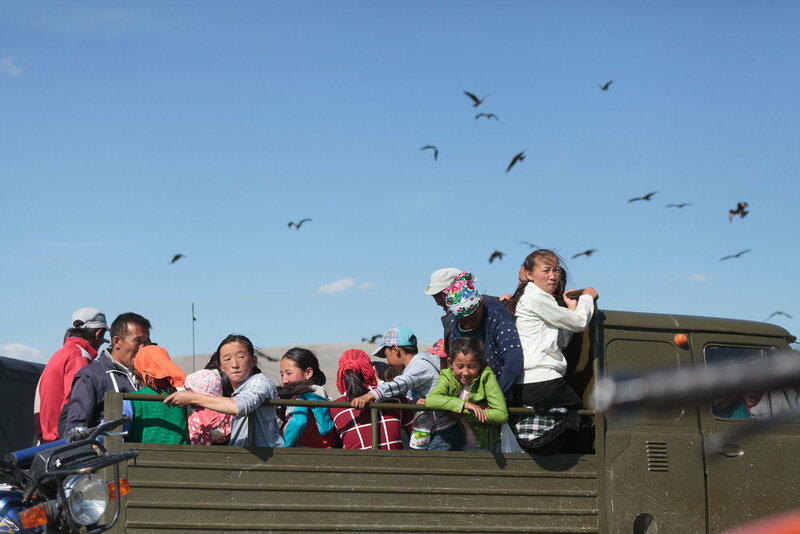 At a Gobi desert Naadam I spotted a girl Jockey. Not yet a common sight. The proud family gathering around the winner, admiring the certificate handed out for participation. We were lucky to be travelling during wedding season. Well actually more lucky to be travelling with Timothy Allen who planned the trip so that we will hit the wedding season. So in two weeks we attended two weddings. 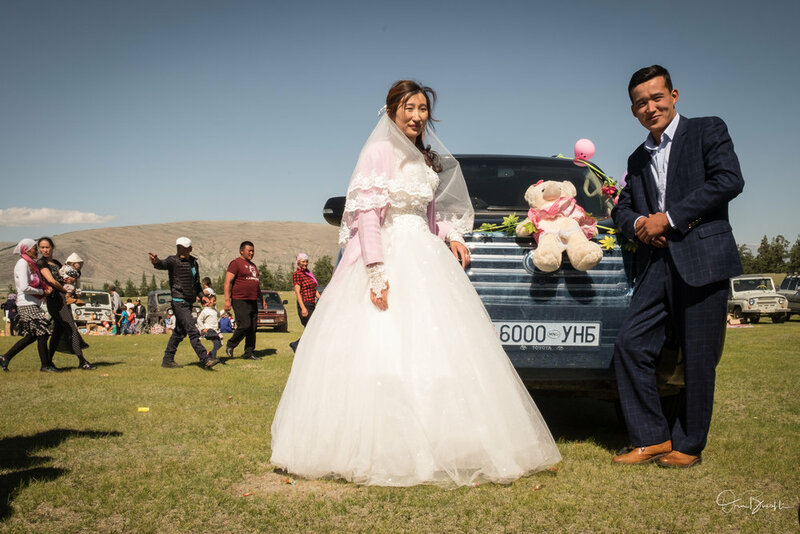 A Mongolian wedding is an elaborate affair. The number of attendees is large, in the hundreds, Gers are set up full of food, tea with milk, and of course Mares milk. First guests go to the wedding Ger to greet the family. In good weather everything else happens outside. The brides are either dressed traditionally or in more western style. In one of the weddings we have attended the brother of the groom has given the pair a new car as a wedding presence. The wedding car is traditionally decorated and the pair posed in front of the car. For long hours the guests together with the couple and their family sit or stand in a circle and watch the traditional wresting matches (more on those in the next blog). The matches are interspersed with speeches and musical offerings. Than it is time for the food. 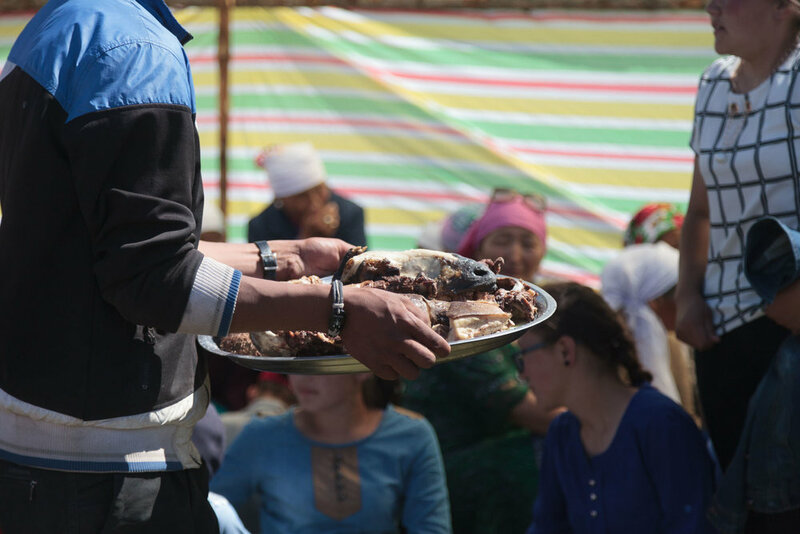 Everyone regroups in small circles and the boiled lamb (yes it tastes as good as it sounds) is served. I have often been asked what is served with the meat. Other than Vodka and Mares milk nothing! Once the meal has been consumed the crowed moves to where the horse races take place (yet another blog to look forward to). Who knew that horses can be milked?